The popular Pukeko Junction Cafe & Deli is too tempting to drive by during the weekend bustle. 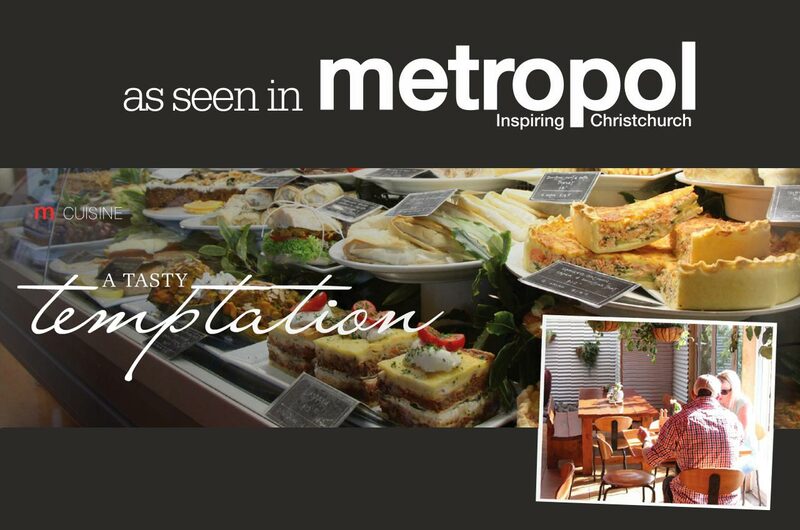 Midweek, it also provides an opportunity to experience fabulous homemade food among the serene surroundings of North Canterbury. Owners Celine & Guy Graham won the peoples choice award for the 2016 New Zealand cafe of the year in the Canterbury region and the proof is certainly in the pudding – The slow braised melt-in-your-mouth lamb shank pies, hot smoked salmon & eggs benedict, and lemon slice with a dollop of cream – just a few of the sumptuous offerings. Featured in the Lonely Planet guide, the cafe has also achieved the Excellence award for Trip Advisor for 3 years running. Tourists return, especially for the seafood chowder and waipara wines. Guy’s ethos is “don’t mess with the food” Celine says The passionate chef lets the quality of the produce speak for itself, keeping it simple and consistent. He is a fan of Al Brown who is known for his soulful and hearty fare, filling the plates generously. “You can buy our muesli, which is super fresh, As soon as we put it out, it’s gone.” Celine says. Likewise for the artisan sauces and chutneys. Hummingbird coffee, served by talented baristas, also attracts regulars. You can choose a sunny outside table; the covered courtyard by a gas heater, or inside on banquette sofas enjoying the in-house gift store, sip on local wines to soulful jazz music, or experience neigbouring cycle and walking trails to the beach and you’re simply in heaven.